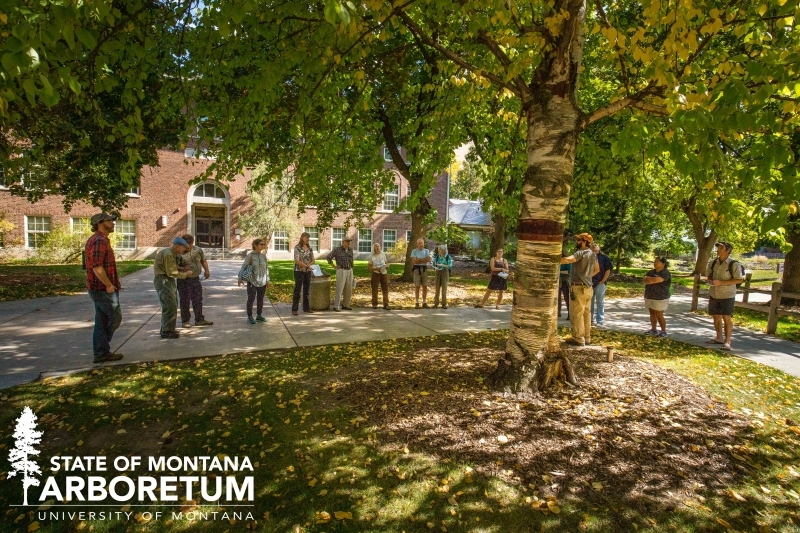 Join us for a tour of the State of Montana Arboretum at the UM Campus! The tour will start at 5:30 pm in "the Root" just north of Main Hall and west of the University Center. A knowledgeable and tree-loving guide will lead you among the 2,300 trees of over 100 species. Learn about some of the amazing trees from around North America including some species that pre-date the ice ages. There will be plenty of time for questions on this leisurely evening walk among stately trees planted over 100 years ago, and some interesting ones planted in just the last few years.